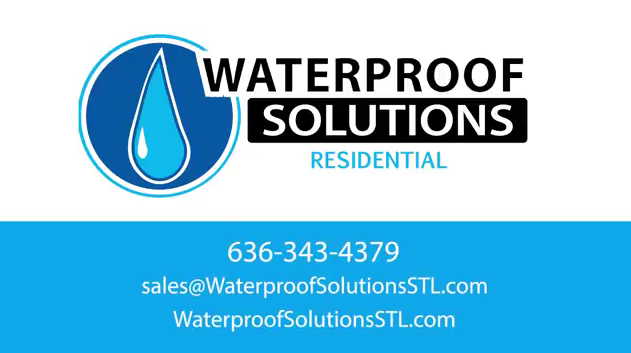 Hello, folks, Stephen here with Waterproof Solutions. One of the biggest, stress out, what-do-you-do moments is, all right, my house is broken. I’ve had it fixed, I’ve owned it for 20, 30 years, I’ve done right by the house, but now I’m at a point where, I don’t want to cut the grass, I’m tired of painting, it’s a brick house, but I digress, you know there’s things that need to be done and you get to a point. Right, painted brick. I’ve been asked to evaluate this foundation. Now if I was coming out to make money I could probably persuade and make some money here, but let’s talk about it. This cast and place foundation means it was poured inside frames. So, the last video that I put up you know you heard me talking about coatings. You see these coatings have been on this wall too, you see where the steps have settled out? So, this original pour was a very porous rough pour done in a wheelbarrow and it had cold joints and sockets to it. This foundation really wasn’t going to perform any better than what it was originally designed to do. 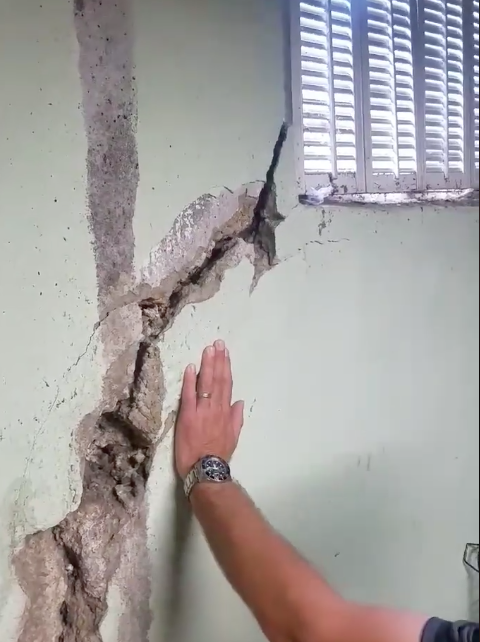 As the cracks start to deteriorate, they get to a point to where you have to escape from Alcatraz and you can kind of walk your way out. Now, it’s not my impression to make fun of this house, but we’re trying to figure out, how are we to be a good steward of this house? This break here, along with the break over there, their beautiful kitchen’s upstairs and they cut the floor joist out to kind of prop it up, so they could get that to sit still. This corner has dropped and tilted away. Now another fine company in this state did do some work in here and they’ve piered it. 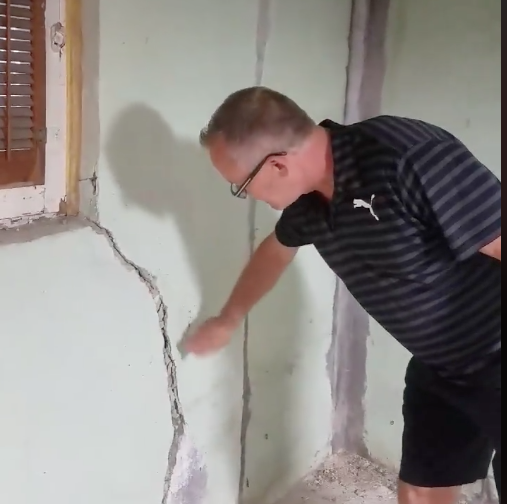 Well at the time, the lateral was wrong with the house, so they were bleeding out cash, so they weren’t able to get the cracks fixed. Well, the coating over time is starting to get tired, you hear the hollowness, so it’s been moving around a little bit. And this really kind of shows you what’s inside concrete wise, you can see the river rock and some of the river sand, but we also have lateral movement. There’s a diagonal crack that’s running down this wall, so the wall’s moving in. Should I Repair or Rebuild? So, at what point do you keep spending money on a house? I mean, this house could cost 50 to 60 thousand dollars, all day long downstairs to get the foundation right. We’re in Webster. This house might be better suited to be knocked down, but it’s not up to me to decide that, it’s up for people smarter than me that know about land, your realtors, the investors, the town. So, I take it’s very important that you don’t rush the judgement, you don’t rush to spending money because this is, this is probably your biggest investment and you want to be a good steward of your money, you also want to leave the next person with something that’s sustainable. So, it’s tough, it’s a tough road to hoe, but doing the right thing is always the best thing. Next time. Sometimes you don't fix it.